Retire your alarm clock and wake up instead to the rich aroma of freshly ground, just brewed coffee, with the Cuisinart Grind & Brew Automatic Coffeemaker. 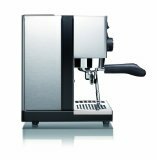 This deluxe 12-cup model offers the best of Cuisinart’s expert coffeemaking technology to deliver unsurpassed ease of use and rich full-bodied coffee flavor. With streamlined European styling and a graceful carafe, it’s a beautiful addition to any kitchen. A perfect addition to any modern kitchen, this 12-cup automatic coffeemaker grinds whole beans right before brewing to produce a fresh and flavorful pot of coffee. Its 24-hour full programmability means the unit can be set for “wake-up” coffee or for having coffee ready when it’s time to serve dessert–without having to get up from the table. In addition, its brew-pause function makes it possible to sneak a cup before the end of the brewing cycle. The Grind & Brew Coffeemaker features a separate grinding assembly and filter chamber to make beans easy to add and used grounds easy to remove. A convenient “grind off” control turns the grinder off when preground coffee is used. Smaller amounts can be brewed without any loss of flavor thanks to the units 1- to 4-cup setting. For added convenience, the coffeemaker provides a large control panel, adjustable automatic shut-off from zero to four hours, and a 12-cup (5 ounces each) glass carafe with a generous stay-cool handle and drip-free pouring spout. 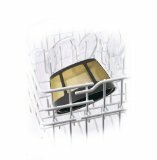 Accessories include a gold-tone commercial-style permanent filter and a charcoal water filter for removing impurities. 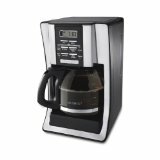 The sleek-looking coffeemaker measures 12 by 9-4/5 by 17-1/2 inches and carries a three-year limited warranty. A charcoal water filter and a permanent commercial-style gold tone coffee filter allow only pure flavor to flow through, and the popular Brew Pause feature lets you sneak a cup before the cycle is finished. Flips back for easy filling of the water reservoir and access to the grinder compartment. 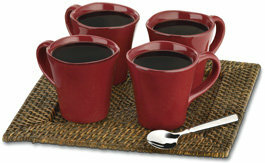 Distributes water evenly over coffee, reducing temperature loss as water passes through grounds. Displays time of day and Auto On times. Manually turns coffeemaker on or off. An audible tone sounds 5 times when brew cycle is complete. 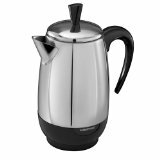 Improves extraction, flavor and temperature when brewing fewer than 5 cups. Use to program clock and Auto On function. Turns off the grinder when using pre-ground coffee. Sets and/or displays programmed Auto On time. 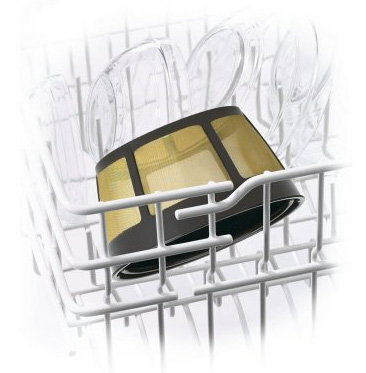 Stops flow of coffee from basket when carafe is removed (20 seconds max) from resting plate, so a cup can be poured in mid-brew, if desired. The easy-pour, dripless, 12-cup carafe has an ergonomic handle and brewed coffee markings for two to twelve cups. Scratch resistant with nonstick coating. Charcoal water filter eliminates chlorine, bad tastes and odors from tap water. 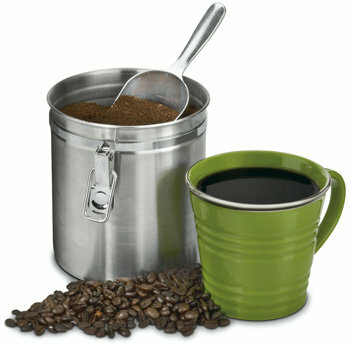 All materials that come in contact with coffee or water are BPA free. Use the recess on each side of the lid to remove lid for easy addition of beans. Note: Lid must be in place for unit to operate. Coffee is 98% water. The quality of that water is as important as the quality of your coffee. If water doesn’t taste good from the tap, it won’t taste good in your coffee. 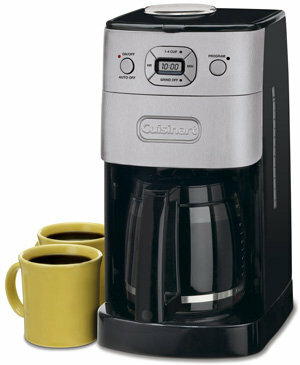 That’s why Cuisinart has added a water filter to the Grind & Brew Coffeemaker. 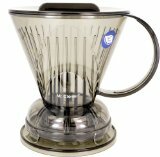 The charcoal filter removes chlorine, bad tastes, and odors, for the purest coffee flavor, every time you brew. While coffee is 98% water, all of the flavor comes from the beans. To achieve the same great taste you enjoy at a coffee bar, you need to use the same quality of coffee. Buy the beans fresh and whole, only about two weeks’ supply at a time for maximum freshness. Once the coffee bean is broken, its flavor degrades very quickly. That’s why the Grind & Brew grinds your coffee just prior to brewing. If it is not practical to buy small supplies, separate larger amounts of beans into one to two week portions immediately after purchase, and freeze them in airtight containers. The best way to maximize freshness is to minimize exposure to air, light, and moisture. So, once beans have been removed from the freezer, maintain them in a sealed container at room temperature, since damaging condensation occurs every time the beans are removed from the freezer or refrigerator. Note that some coffee experts advise against freezing dark-roast beans, because freezing can cause the oils to coagulate. Other experts disagree. We suggest you experiment and decide for yourself. The grind is critical for proper flavor extraction. If the grind is too fine, over-extraction and bitterness will result. Too fine a grind may also clog the filter. If grind is too coarse, the water will pass through too quickly and the maximum flavor will not be extracted. The Grind & Brew is preset for a medium grind, the optimal grind for this type of coffeemaker.